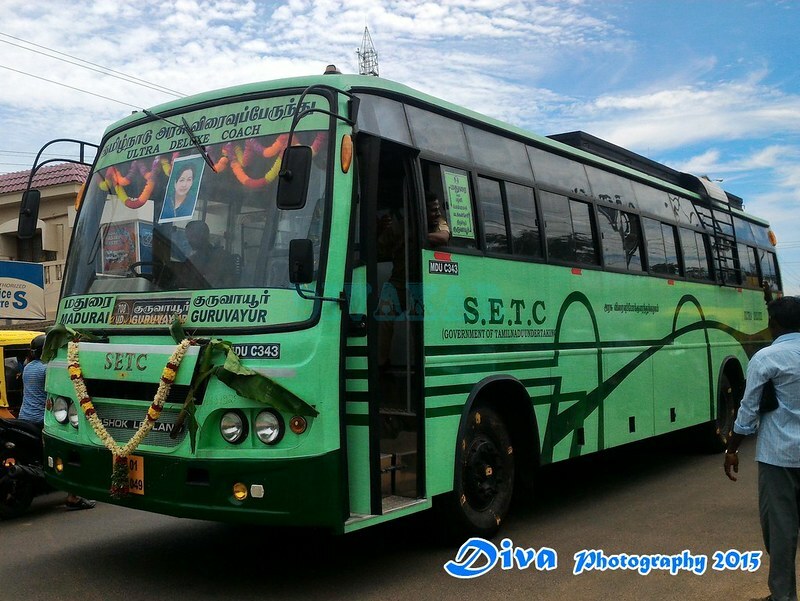 SETC had two buses in Madurai to Guruvayur route. Day time bus was running via Thrissur and the overnight service was running via Palakkad, Pattambi. In the last TN-KL interstate aggreement, route via Palakkad, Pattambhi service was modified to run via Pollachi, Thrissur and this overnight service from madurai was stopped for unknown reasons. After a decade or so, the Overnight service from Madurai is back. Now Madurai-Guruvayur route has two daily service from both the ends. Madurai to Guruvayur is available for online booking and i hope they will bring Guruvayur to Madurai also online. Saw the day service from Guruvayur returning back to Madurai yesterday evening. Thanks for SETC to bringing back the night service from Madurai. Madurai to Guruvayur timings: 7:00 AM, 8:30 PM.